0% Finance Available! No Credit Checks! 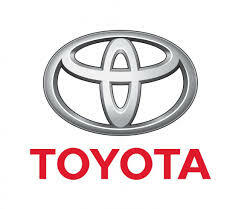 The power and fuel economy of your Toyota can be enhanced or boosted in about an hour by altering the settings on the engine control unit (ECU). A vehicle’s engine control unit (ECU) is the computer that controls how the engine works. However, the manufacturer’s default settings (or maps) are not necessarily the best they could be as they are forced to consider different laws, such as emissions standards, climates, fuel quality etc. in all of the countries that their vehicles are sold in. Car makers are also known to limit the performance of their cars through the ECU so they can release faster models at a later date, with just a few software changes and a higher price. By overwriting the ECU’s default settings with new settings which are programmed to enhance the car’s overall performance. It usually takes between 30 minutes and an hour. You’ll witness an immediate improvement in the speed and power of your car. The engine will also be more responsive, so it will be easier to tow a caravan, overtake and you might also find that you don’t have to change gear as frequently, meaning you’ll get more miles to the gallon… what’s not to like about that! We Offer Custom ECU Remapping at differing price points depending on your budget and service required. ECU Remapping ECU Chiptuning DPF Solutions EGR Solutions Stage Remapping Speed limiter Removals Fault Code Deletes & Much More!